Why does Paint Peel or Crack after painting. Was there enough time allowed for paint to dry. We have the tips on how to prevent Paint from peeling, cracking or sticking. So let’s just say you DIY painted or hired a painting company to paint your front entrance/foyer area, the front door or a window in the living room. Next thing you notice is the paint peeling or cracking. Why does Paint Peel, Stick, or Transfer? What kind of paint product was used? Was a lower quality product, or semi gloss or gloss paint used. Was enough drying time allowed to pass for the paint before closing that door or window? If you close the front door or the window after just freshly painting it, the two freshly painted surfaces like the front door and the door frame or the window and frame collide or are pressed together, YES of course you are gonna have the paint sticking. If you haven’t allowed the proper length of time for the painted surfaces to dry then things can get sticky. So now that gorgeous front door in black meets the white frame and when you pry it open the paint is transferred from door to frame and frame to door. It’s now black and white at the closure, but we’re pretty sure that was not the look you were after. For interior painting at least 2 to 3 hours of dry time should be allowed to ensure completely dry paint. For exterior painting at least 6 to 8 hours is optimal. 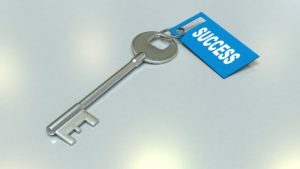 A secret of the painting trade is, if you must close or lock the exterior door before enough dry time has passed simply apply with the finger a generous yet reasonable amount of petroleum jelly a.k.a. vaseline around the frame or weatherstripping where the door meets the frame. This does provide a little bit of a barrier and prevents the freshly painted door from sticking. To prevent and avoid the repainting of the doors or windows and frames because of paint sticking, peeling or transferring we want you to be successful whether you are tackling it yourself or you are hiring a painter in Ottawa. In order to make your next house painting a success we share a few tips and advice in getting it done right. Use quality paint products to prevent and avoid the paint sticking or transferring from one surface to another, and prevent it from peeling off a freshly painted surface. Read the labels and directions carefully on the paint cans. Manufacturers provide detailed information on every paint can on how to use the product. From temperature to environment to surface they provide a lot of useful information for homeowners doing it on their own. all loose paint is scraped off. wipe clean with a wet sponge/cloth. Allow a few minutes to air dry. What are the causes of paint cracking or flaking you may ask yourself if you see paint cracks or flakes on the ceiling, walls, baseboards, doors or trim. In older homes it can sometimes be blamed on age. The older homes in Ottawa neighborhoods like the Glebe, Centretown, or Westboro and Little Italy or Rockcliffe are populated with homes built as long as 100 years ago and sometimes more. These homes have character and charm and need the proper TLC they deserve to maintain them. 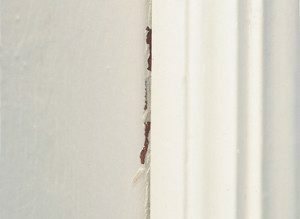 Aging of paint in older Ottawa houses is a natural and normal event, although it is sometimes visible that years have passed without proper maintenance and you will see the paint cracking or flaking. They start off small and worsen over time if left unattended. 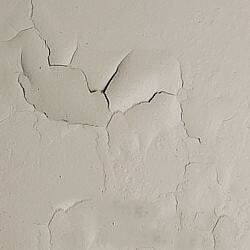 Repairing the cracking or flaking paint will avoid small patches turning into bigger problems. A simple scraping, patching and repair of the cracked or flaked paint, an appropriate primer and 2 coats of finish paint is all that is necessary at best to fix a small area. If the area is larger then of course a complete painting job is required in order to unify everything and it avoids the visible paint lines from old to new paint. Painting with lower quality paint products can be a reason for the paint cracking or flaking. When using higher quality paint products such as the ones we use in the Benjamin Moore Interior and Exterior Paint Lines you will end up with more than adequate paint adhesion to your walls, ceilings, doors, baseboards and trim. Oil Based Paints should never be painted over latex based paints. Because of the composition and chemicals in oil based paints there will be poor adhesion. If you or a painter you hired apply a thin coat of poor quality paint it will result in cracking or flaking of the paint from the surface. 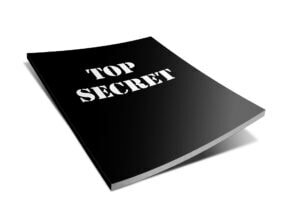 If it has been a few years since a fresh coat of paint has been painted you will start to notice these issues occurring. Paint ages just as everything else. Interior or Exterior environment has a direct effect on the paint on the walls, ceilings, trim, baseboards doors and the exterior wood surfaces. Along with humidity and moisture and temperature changes all have a cause in the process of the paint problems you may experiencing. When there is an extreme presence of cracking or flaking then the painter or painters have usually not given enough time in between paint coats. Allowing the right amount of dry time can avoid such headaches. In between painting of a second or third coat of paint you should allow at least an hour at minimum. Today’s paints are mostly water based and do dry quickly. Not taking care of the pre preparation of the surface will result in poor results. Ensuring all drywall repairs are done before painting and using the correct undercoating, and paint primer will help avoid these issues. To help you achieve the perfect end painting results and avoid the pain of painting you can hire a professional house painter in Ottawa who will ensure you get the results you were looking for. It’s not always as expensive as some may believe to hire a painter. Not knowing all the steps and precautions necessary may cost the homeowner more in the end when doing a DIY painting project. Remove the loosened or flaking paint with a scraper for interior painting or with a wire brush for wood surfaces on exterior painting. Patch with drywall compound if necessary. If there are a few layers of paint that has been scraped off or peeled away then you need to use a filler. If the damage is really deep you should remove all the paint with a scraper or heat gun and sand it until smooth and even. Then paint a primer and repaint entire area with minimum 2 coats of paint finish. We hope these tips have been useful. 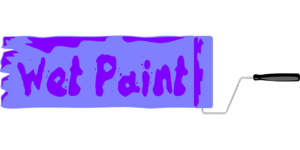 If you need any further assistance for any paint problems and want to hire a professional painter contact us.